This weekend will see finalists in the Sussex Young Musician of the Year Competition battle it out to claim the title. American Summertime, a concert of popular music by Coro Nuovo and music director Andrew Rees, is on Saturday, July 14, from 7.15pm. The concert, held at St Andrew’s Church, Burgess Hill, will feature solos by four young musicians. Its finale will be the crowning of the Sussex Young Musician of the Year. The winner receives a £1,000 bursary, sponsored by Tradoak. 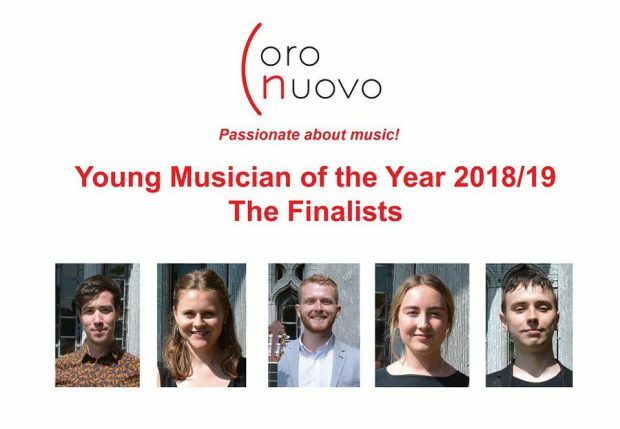 The annual Young Musician of the Year Competition and Bursary supports aspiring performers with a Sussex connection. On Sunday, June 3, Coro Nuovo hosted auditions at St Peter’s Church Chailey where 11 young musicians, both vocalists and instrumentalists, performed for a distinguished panel of judges. Three of the candidates had flown in from mainland Europe just for the chance to audition for a few minutes. “The auditions were great, it was a lovely atmosphere,” said Coro Nuovo chairman Kate Kent. “We served tea and cake so people could sit in the pews of the church with a snack and just enjoy these young people playing instruments and singing. The judges initially chose five finalists but one had to withdraw for personal reasons. “We would normally only have four finalists but we ended up picking five because the judges were having such a tough time deciding,” said Kate. The four remaining finalists will now compete for the title of Sussex Young Musician of the Year. The overall winner receives a £1,000 bursary sponsored by Tradoak with the runner up receiving a £500 prize courtesy of an anonymous donor. Andrew Martin, 24, was born and raised in Chichester and will be playing the flute on Saturday. From September he will studying at the Guildhall School on the Masters Orchestral Artistry course. He has recently completed his undergraduate studies at the Royal Welsh College of Music and Drama. Claire Ward, 24, is a soprano from Crawley and postgraduate at the Royal Academy of Music. She holds a first-class honours degree from Durham University and as an Erasmus scholar, spent a year at the Conservatoire de Toulouse. George Robinson, 22, is also from Chichester and plays classical guitar. He is currently in his final year at the Royal Welsh College of Music and Drama and is about to go on to the Royal College of Music for a masters in Performance. George has performed all over the UK. He was personally invited to perform a newly-commissioned work for a full orchestra and 120-voice choir at Dartington College of Arts. Rebecca Leggett, 22, is a mezzo from Haywards Heath and is studying at Trinity Laban for a BMus. This September she will be on a postgraduate MA course at the Royal College. Rebecca is the winner of the TL Elisabeth Schumann Lieder Competition 2016 and was a finalist at the TL English Song Competition 2017. Baritone Rory Green had to withdraw from the competition for personal reasons. Away from the competition, Coro Nuovo’s summer concert promises to appeal to a wide range of musical tastes. The programme is bursting with American patriotism – from Beach to Bernstein, shanties to soul. Saturday’s programme will include two pieces by Amy Beach – the first successful and celebrated female composer born and educated in America. There will be three river-related performances: Down by the Riverside, At the River and Let the River Run. American Summertime, Saturday, July 14, 7.15pm, St Andrew’s Church, Burgess Hill. Tickets for the concert and competition can be accessed via the box office here. Traditional Oak & Timber Company was formed by Neil Peskett in 1990. As an independent family business we are passionate about supporting our local community.